For everlasting comfort, this bedding essential is your Waldorf Astoria Bed’s best kept secret. Fitted with an elastic skirt and made of allergen-free fibers, it softens the top surface of your bed, and provides a hygienic barrier between your sheets and mattress. 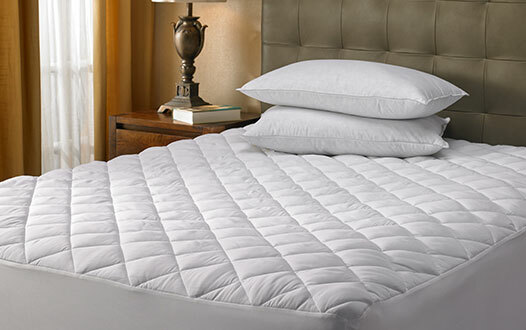 Maintain a clean sleep environment with our Waldorf Astoria mattress pad and sleep soundly night after night.